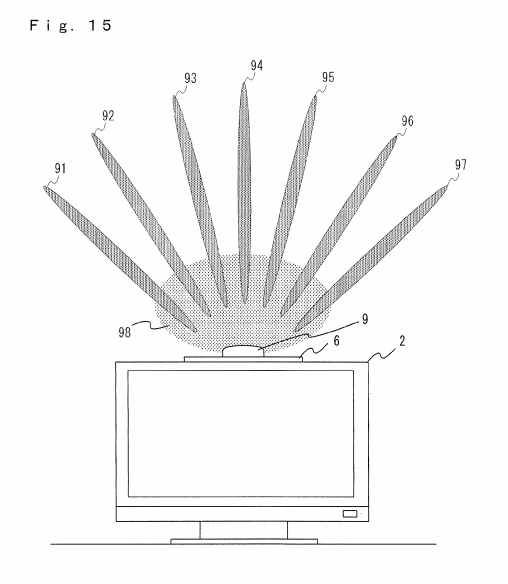 A patent dredged up by Siliconera reveals a curious unreleased accessory for the Wii known only as the “Wii Light.” In a nutshell, it’s an LED-based device you mount to the top of your TV that can create light in 256 different colours. The device is not only able to change colours, but can also blink and output light at varying intensities. It seems it can serve two purposes: one, it can act as a mood light to enhance the player’s immersion into a game; or two, it can create a dazzling display of flashy colours for say, a music game. The patent specifically mentions that developers can change the light’s colour when a bullet hits home, or when a punch connects with its target. The light could also sync with a player’s instrument or controller in a rhythmic game and follow them through the song, lighting up in different ways to show players how they’re doing. The patent was filed in Japan back in 2009, and there has been absolutely no word from Nintendo about it. It’s certainly an odd-looking device at first, but I think it may finally come to light with the Wii 2 (please pardon the terrible pun; I couldn’t resist). Because games would need to be specially programmed to use it, I think it would be more than a little counterproductive to release it for the current Wii this late into its lifecycle. However, it might have some real potential if it was released alongside – or even packed in – with the Wii 2. If immersing players through glassesless 3D isn’t an option, bathing them in a flurry of room-filling lights might be the next best way to make them feel like a part of the game.